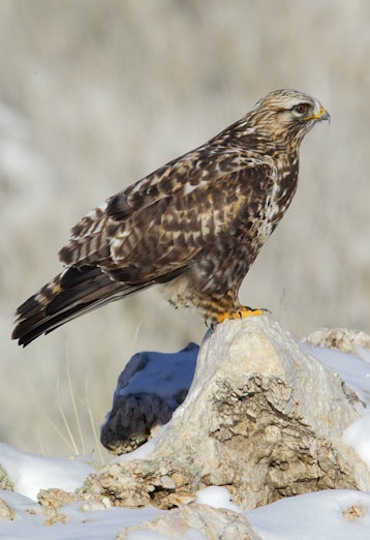 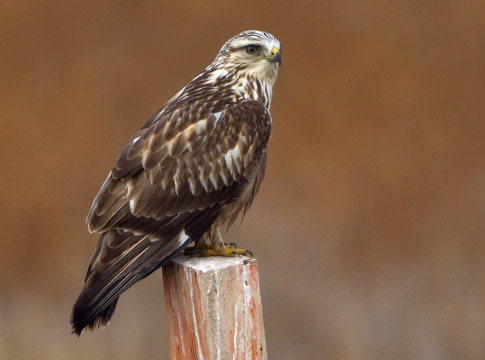 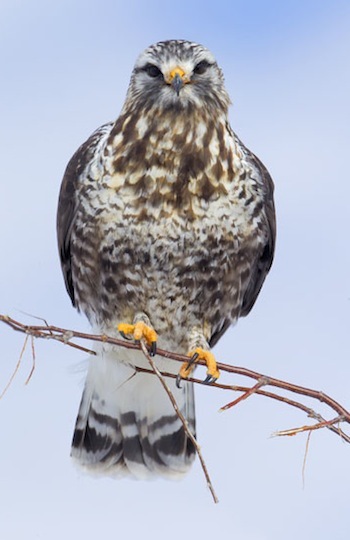 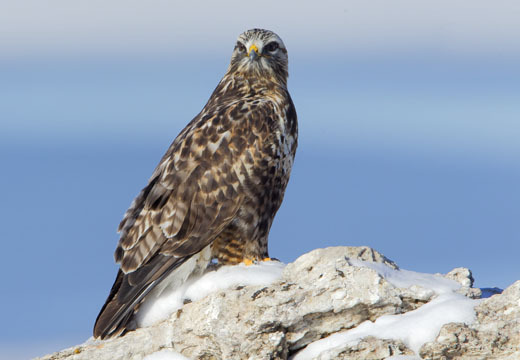 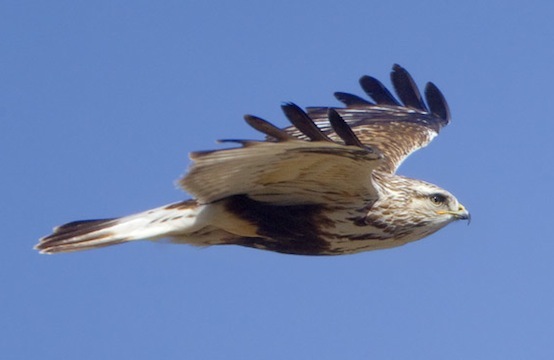 The rough-legged hawk -- named because its legs are feathered to the toes -- is an Arctic breeder that moves south in the winter. 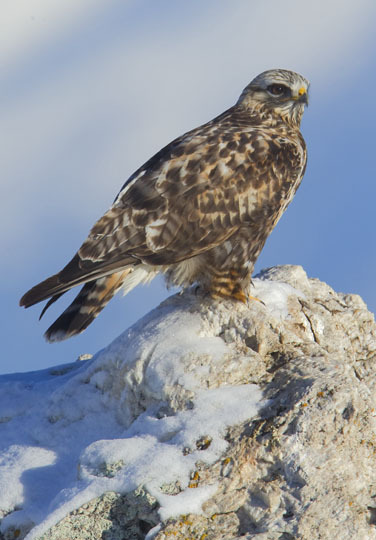 They usually do not reach southern California (where I live), and many these images were made in northern Utah in late December. 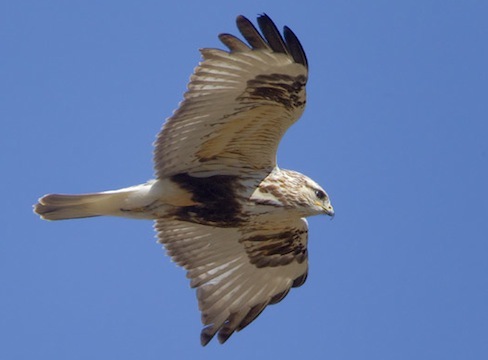 The dark-bellied juvenile bird (or maybe birds) in the bottom set of images was photographed in southern California, near Riverside; the first seen in that area in a decade. 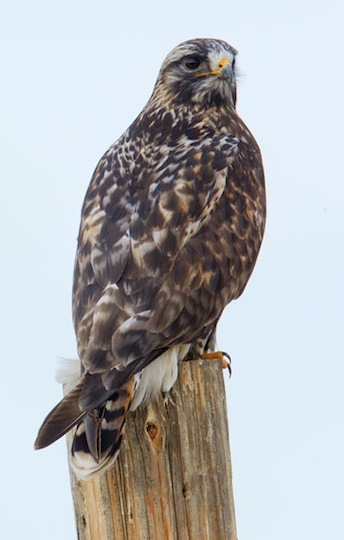 Adult rough-legs typically have mottled brown plumage and a pale head, as in most of these pictures (there is also a rare dark morph; not pictured). 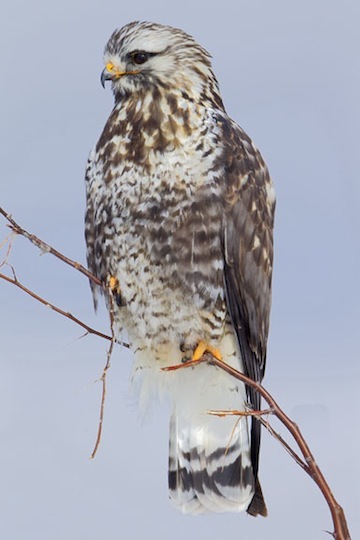 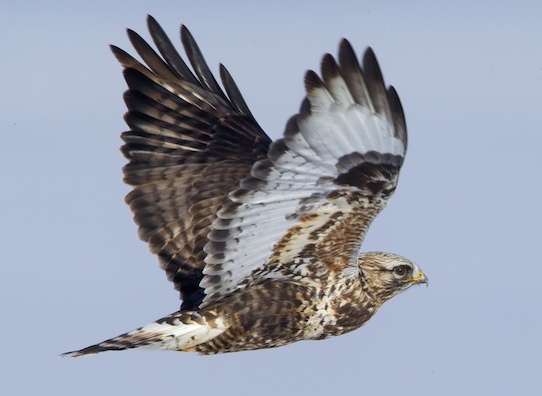 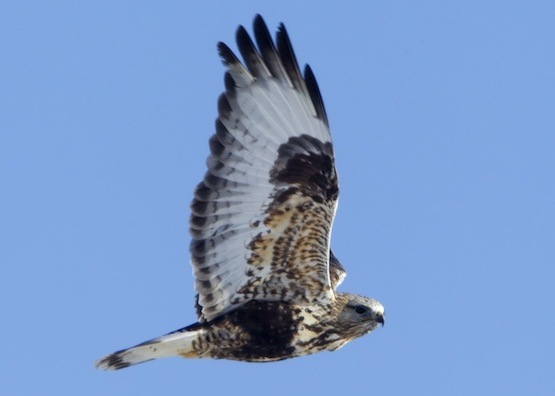 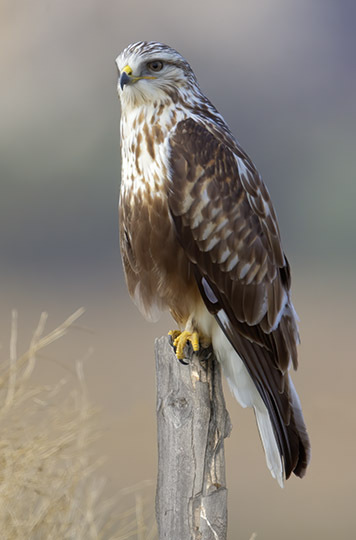 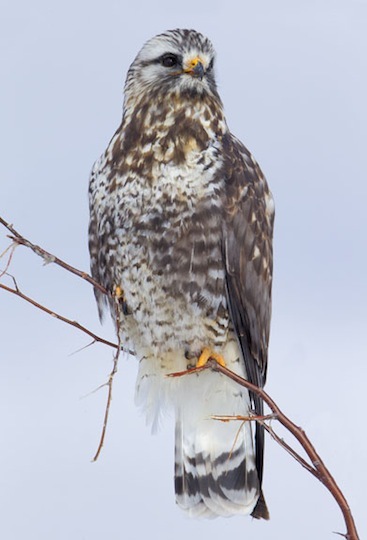 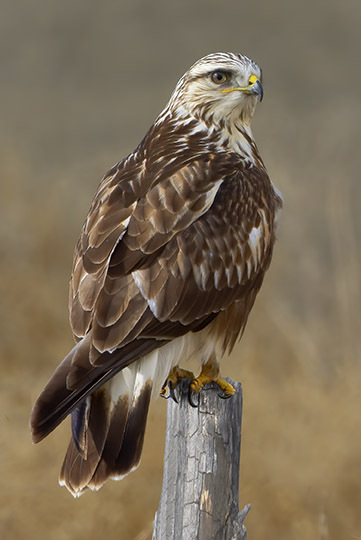 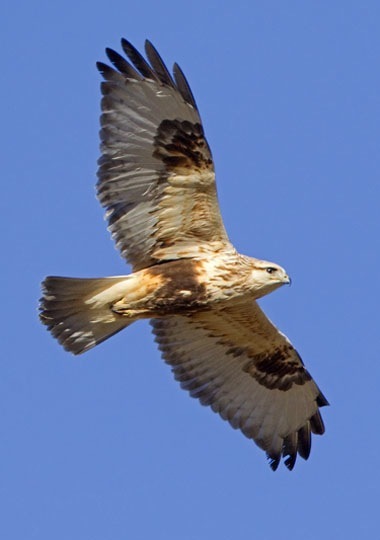 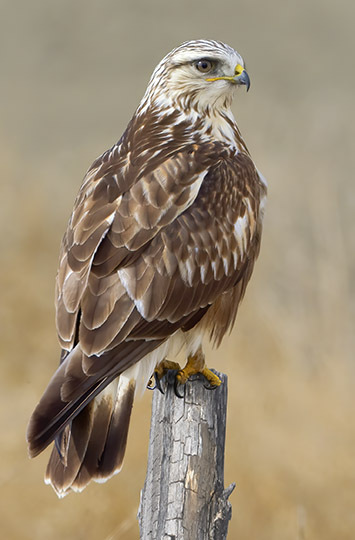 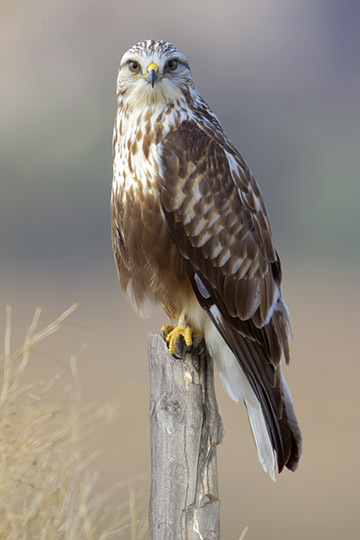 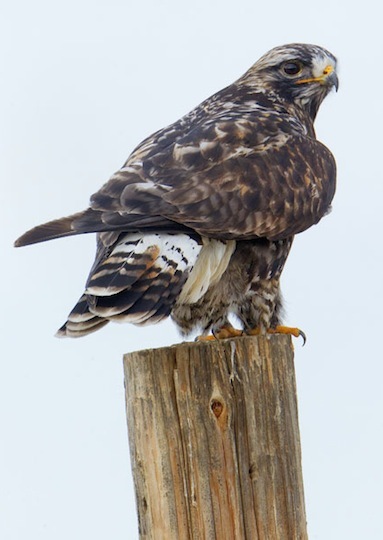 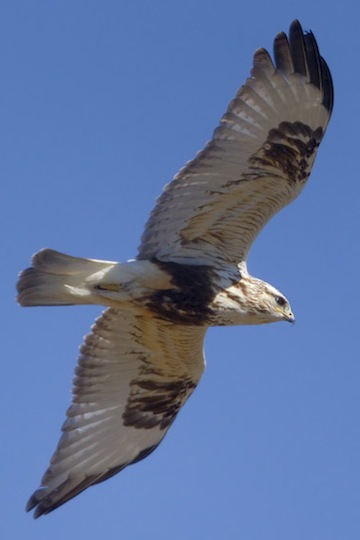 They can be recognized by their white tails with dark bands (one subterminal band in females, several bands in males), feathered legs, and broader, more rounded wings than the other North American buteo with feathered legs, the ferruginous hawk. 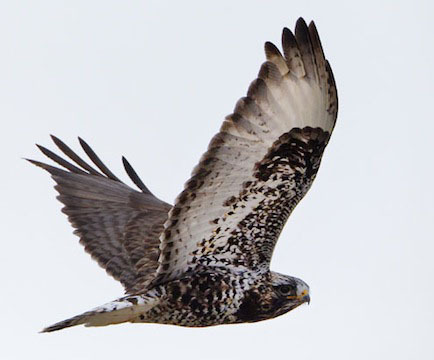 From underneath, the pale primary and secondary feathers with dark tips, and the dark 'wrists', are helpful field marks. 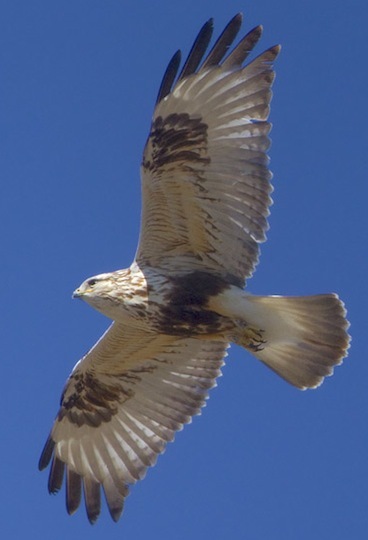 Juveniles have a characteristic blackish belly. 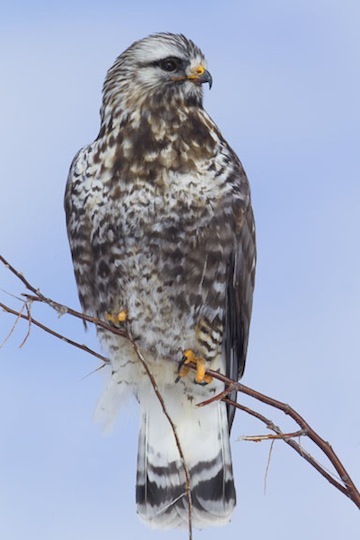 Rough-legs have rather small bills and feet, which gives them a mild, almost 'stuffed-toy' look compared to other big hawks (to me, at least). 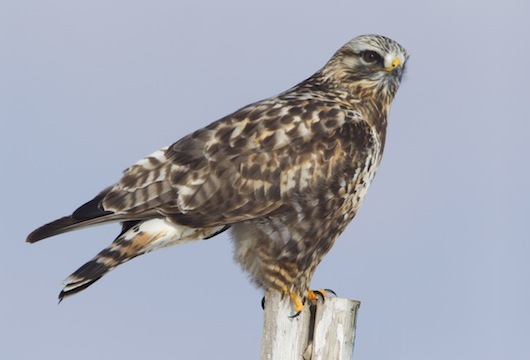 Behaviorally, rough-legs are open-country rodent specialists that often hover like giant kestrels, or perch on extremely thin twigs as one of these hawks is doing.